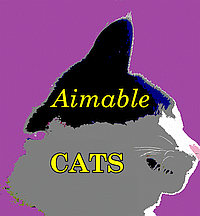 Welcome to Aimable Cats. Use this forum to introduce yourself. Hi there! Nala's mom here hoping that SMC kitties will use this site to see how everyone else is doing. 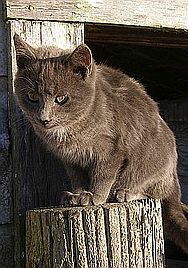 So many of us farm kitties were pretty that they started calling our mother The Mother of All Pretty Cats, so that became our family name. They used the Russian tradition of a patronymic (or matronymic, actually) to keep track of who was from which litter; Russians also have feminine endings on most family names. Butler Prettycat and Parker Prettykoshka were born the litter before me -- they in March 2011, I in late July 2011. Butler crossed the rainbow bridge in June 2012; I wandered off at the end of July about the time of my birthday. Parker left the farm and is now an inside cat. do you remember how he fed us on his lap sometimes ? We are 11 kitties -- all adopted or rescued. . . there are 6 girls and 5 boys. . . we are all fixed and indoor only babies. . .two of us are polydactyls. . . He there Vegeta and Clan, all eleven of you! You remember me from showmeCats, don't you? I'm so happy to be on this forum with you. May you have a very blessed afternoon. 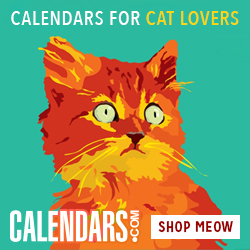 I am new, just today, and signed up with hopes of seeing my showmeCats furiends. As you might know, I was named King of CatChannel in November 2013, therefore the "K" in my name. I am very glad to be here and look forward to meeting old and new furiends. Thank you for answering my catmail. Yep, we are still learning our way around the site, too. It sure is good to see you. Hope you all have a very blessed night and sweet dreams. what does the number in the yellow box mean? My last Blog posted three (3) times! I must have pawed "save" too many times. Is there any way to delete the extra blogs? I did not see a delete button. I'd like to keep one blog & picture and delete the other two. I deleted your extra comments. It is possible for you to edit your comment and delete the picture and all the text (or replace all the text with something much shorter). Also, you can create another blog entry. See http://aimable-c.at/node/92 for instructions. Hello my name is Smokey, I am an attorney. Smokey the Baby Attorney at Claw! 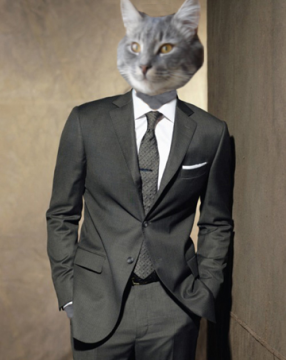 I represent kitties in disputes with the parents, we sue for crunchies and nip, if you've got any questions or would like to hire me feel free to shoot me a message. I will endeavor to not allow the family to contact you for frivolous complaints as I just caught Buddy starting a "20 treat breaks a day" missive. I am the Top cat here at the Tomcat Home. Be aware we have a Queen who goes by Miss Fitz and so if you stop by be polite or you may find out from whence that name comes. Myself, 5 brofurs and said sisfur live in the wilds of PA and are all rescue's or failed fosters.